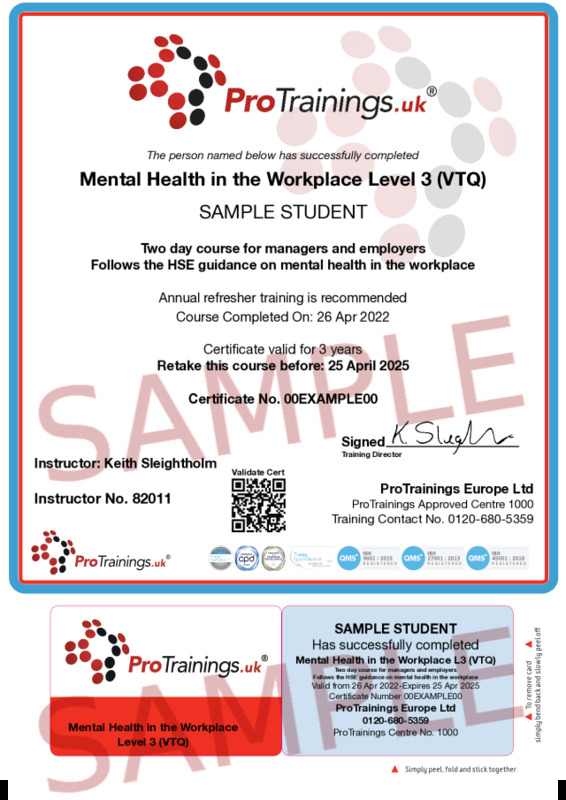 This two day Mental Health in the Workplace course is ideal for those who need further training and is ideal for managers. The topics covered include understanding mental health, how to recognise mental ill health problems and supporting an employee with mental health-related problems. These learning outcomes are mapped to meet a Mental Health in the Workplace Level 3 (VTQ) criterion. Each learning outcome presents a knowledge, skill or assessment to help students understand the curriculum in finer detail.